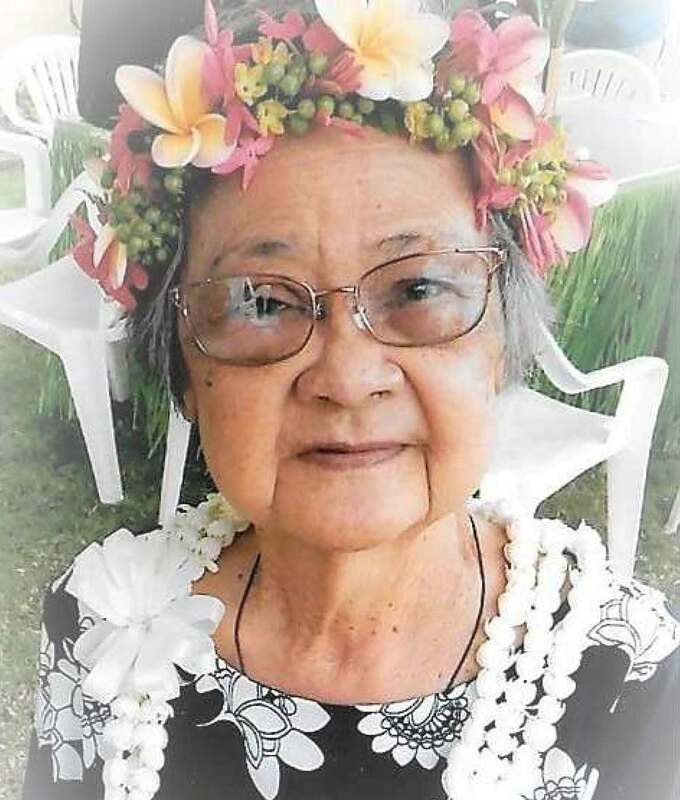 Age 77, of Waipahu, unexpectedly passed away on December 24, 2018, at the Queens Medical Center in Honolulu. Aling was a nurse, homemaker, and babysitter. She enjoyed cooking, crafting, and gardening. She was also a fan of UH Volleyball. She will be greatly missed but never forgotten. Aling is survived by her devoted husband, Herman Manzanillo; caring children, Daisy (Brian) Hartsfield, Desna Manzanillo, Dahlia Manzanillo; loving grandchildren Caleb and Ashley Hartsfield; supportive brothers Gervacio, Ismael (Dolores), and Bernard (Leonida) Balais; sister Felicidad (Benjamin) Juan; and several nieces and nephews. She is predeceased by her parents, Ismael and Marcelina Balais, and a brother, Orlando Balais. Funeral Services will begin on Tuesday, February 12, 2019, at Mililani Memorial Park's Mauka Chapel with a Public Viewing at 5:30pm then a Prayer Service/Remembrance Program at 6:30pm. On Wednesday, February 13, 2019, at St. Joseph Church in Waipahu, Final Viewing will begin at 10:00am, Mass at 11:00am, and then Burial at Mililani Memorial Park shall follow after completion of Mass.